Inspired by such TV shows as Bill Dance Outdoors and Fishing with Jimmy Houston, he entered his first freshwater tournament on the Chickahominy River when he was 15. After getting 3rd place and out fishing some of his long time freshwater idols, he decided he was going to fish forever. At the same time he was competing in fishing tournaments he was also touring the country as a professional skater and working with the all famous “Camp Woodward” every summer. This has been his lifelong dream and he’s always happy to share it with those around him! 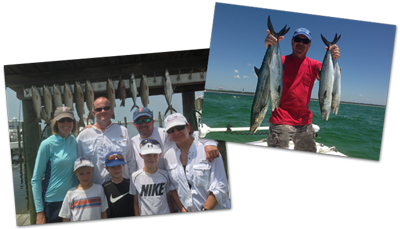 Our captain, Robert Adams, has been fishing in the Pensacola area for over 20 years. 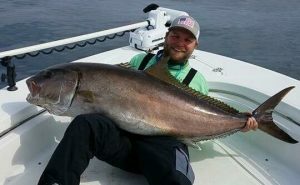 With Bout Time Charters, Robert is thrilled to run his own deep sea fishing charter. Robert is the son of a U.S. navy diver and spent most of his childhood near the water. Robert has been married for twenty two years and his wife always says that he gets cranky any time he’s away from the water. 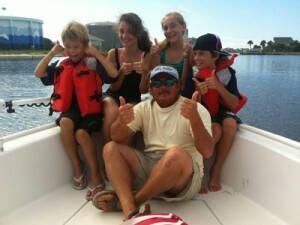 Robert has an easygoing attitude and truly enjoys taking people on inshore fishing trips. 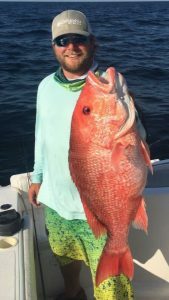 He has experience working on both commercial charter boats and private sport fishing yachts, with experience taking out first time anglers and top-level professionals. 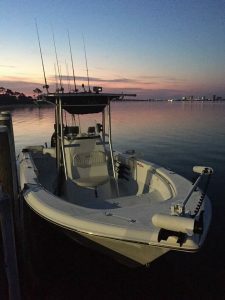 When Robert is not taking folks out fishing, he spends his time maintaining several large vessels in the greater Pensacola area. 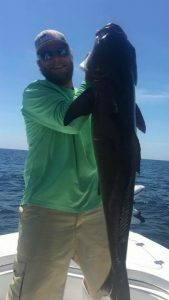 Robert is proud to serve as a Florida Gulf Coast fishing guide. Give him a call or click here to book a trip – it’s ‘Bout Time you went fishing with Robert!